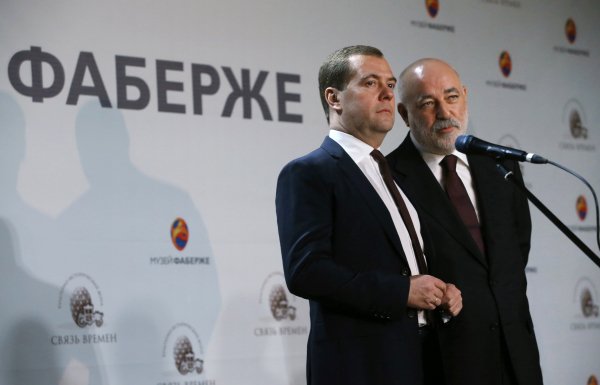 Viktor Vekselberg is interested in an investment portfolio at Sofia Airport – “Vrazhdebna”. This emerged in March 2018 from an interview with the newspaper Kommersant of Evgeny Chudnovsky, Director General of the company “Airports of Regions” (a subsidiary of Vekselberg’s company “Renova”). The top manager humbly admits that their company is not prepared enough to become a strategic investor outside of its traditional markets across the Russian Federation. The owner of “Airports of Regions” is Victor Vekselberg, one of the richest Russians. He became famous for buying out worldwide the Passover eggs of the family of Russian Emperor Nicholas II, shot in 1918 – royal souvenirs made of gold and diamonds by the French jewelry house “Faberge”. “Airports of Regions” is one of Vekselberg’s “golden hens”. It “lays”, not without State aid, nice eggs from the operation of regional airports in Russian cities. The company of Vekselberg has also been interested in the “Nikola Tesla” airport in Belgrade. There, it has joined a consortium with the South Korean “Incheon International Airport Corporation”, the Turkish “IC İçtaş” and the Russian “VTB Capital Infrastructure”. However, despite Belgrade’s good relations with Moscow, which considers Serbia its ally in the Balkans, the consortium with the Russian participation did not end up the winning bidder. “We were interested in the Belgrade airport, but we had no right to be selected in a competition as one of the requirements to participants was about five million passengers in an airport managed for a few years,” Chudnovsky says in the interview. It became clear in December 2017 that the French airport operator “Vinci Airports” was the strategic investor that should take over the management of “Nikola Tesla” by the end of 2018. Vinci is the largest infrastructure company in Europe; it operates 35 airports in six countries – Japan (the two Osaka airports), Portugal, Cambodia, the Dominican Republic, Chile and France, where the company operates 13 airports. It is obvious that the Russian airport operator is true to its name – it can deal with regional airports in Russian cities (and with State support because of the sanctions! ), but it is not competent in the management of international airports, notably metropolitan airports, with fast-growing passenger flows, such as the one in Sofia. Can the “Vrazhdebna” Airport become the door to Europe for the Russian operator after the failure in Belgrade? According to Chudnovsky, this is a realistic prospect. Although with its 6.5 million passengers in 2017, the Sofia Airport is not so “small of a goal” (it is close to the Boryspil airport in Kiev with its 7.5 million passengers), it is obviously attractive for this Russian company. Chudnovsky admits that his company is interested in the “development of the airport in Sofia”. In this fierce race, the Russians can also rely on State aid. In response to Kommersant‘s question of attracting funding, the Russian top manager gives an example with the airport in Saratov and de facto admits that the money for such projects comes from the State. But, according to the State Bank’s annual financial statement, quoted by Russian media, all its subsidies from the State are spent on the rescue of its liquidity. The reason is that the Bank has been on the US sanction list since 2014, when Crimea was annexed on the order of the President of the Russian Federation, Vladimir Putin. Vekselberg has requested State aid for “Airports of Regions” a year ago in a statement to Putin himself, writes Kommersant. According to the newspaper, with a letter to the President’s administration, dated March 27, 2017, the oligarch asked for “VAT differentiation for regional flights via Moscow and for direct flights.” Putin has replied that these have been “the right tasks” and has ordered the Ministry of Finance and the Ministry of Transport “to develop a proposal to reach the stated goals”. In mid-April 2018, Russian Prime Minister Dmitry Medvedev received an official letter from Victor Vekselberg, in which the oligarch complained about the sanctions that had struck him and asked the government to support him. It is alleged that as a result of the latest round of the US Treasury’s sanctions from April 6, 2018, “Renova” assets, worth between USD 1.5 billion and USD 2 billion, have been frozen. The anti-sanction package, demanded by the oligarch, includes new government orders, customs preferences and zero import duties for raw materials for the company’s production needs, a ban on imports of competing products from Europe (for example, French mineral water), etc. For “Airports of Regions”, it has been explicitly requested to postpone the investments in the regional airports in Petropavlovsk-Kamchatsky, Novi Ourenoy and Saratov, as well as a special item in pricing at the expense of the air carriers and the passengers. According to Kommersant, “Renova” has offered the Medvedev cabinet to have their subsidiary introduce a 5% premium for venture capital investments in companies under sanctions. This means that the likely increase in fares will be paid by the airline and the customer – a regular passenger buying plane tickets, whether they are a Russian or a European who will be coming for the World Football Cup in Russia. “We are not aware of the fact that the Russian airport operator “Airports of Regions” has expressed interest in participating in the forthcoming procedure before the Ministry of Transport, Information Technology and Communications, on an official level,” this is how the administration of Minister Ivaylo Moskovsky responded to Bivol’s question whether Russian interests had been officially declared. “There are no deadlines (by law or other document) for conducting the concession award procedure at Sofia Airport,” the MTITC press office said, adding that “we do not know at the moment what investors are interested in participating in the procedure”. The MTITC did not respond directly to Bivol’s question whether companies that have been included in the US and EU sanction lists after 2014 will be able to apply for the airport concession, but recalls that “each participant in the concession procedure will have to prove that there are no grounds for its exclusion, as referred to in Art. 60 of the Concessions Act”. “Along with the above, among the grounds for exclusion will be those establishing that the participant in the procedure should be eliminated if it is subject to respective measures imposed by international organizations”. Were Kommersant’s pages used by Vekselberg’s managers to test the waters before the visit of Bulgarian Prime Minister Boyko Borisov to Moscow or are Vekselberg’s emissaries already in Sofia? In any case, the Russians’ candidacy cannot be kept secret, especially from Brussels, where not only the sanctions but also hidden State aid are monitored. And in the case of Vekselberg’s airport business, the latter is already a fact.